The 2019 Honda CR-V is one of the best crossover SUVs on the road and offers versatility inside and out. With available AWD, good driving dynamics, and excellent fuel economy, the CR-V is poised for any adventure. Inside the cabin, drivers will find a comfortable and spacious cabin with “high-tech equipment,” and “ copious cargo space,” according to Car and Driver. 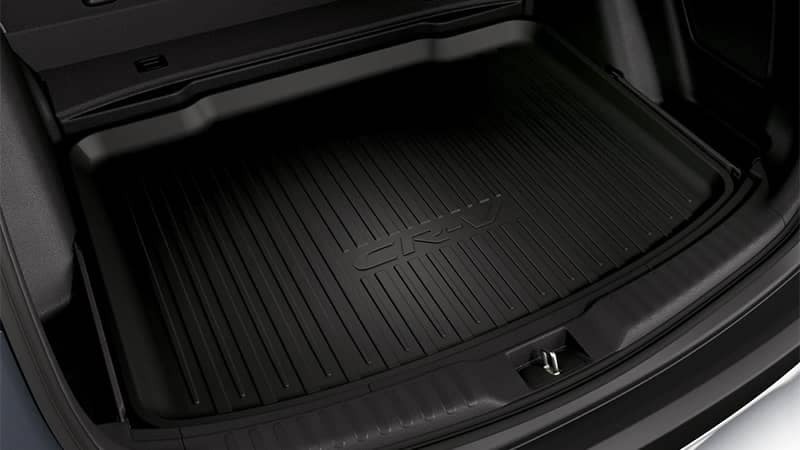 Spacious and comfortable inside, the CR-V bolsters its utility functions with versatile seating that can also accommodate tons of cargo. With seating for 5, passengers in all rows will have plenty of leg and headroom to sit comfortably, even on long journeys. And with 39.2 cubic feet of cargo space behind the 2nd row, and a total cargo space of 75.8 cubic feet with the 2nd row folded down flat, you can bring everything you need with you, even a small couch. Throughout the cabin of the CR-V, you’ll find plenty of storage options for smaller items—from beverage holders to door pocket storage bins. Keep your devices and other things you want within easy reach in the multi-functional center console. Having a place for all your belongings keeps the CR-V organized and frees up more space for passengers and larger cargo items. 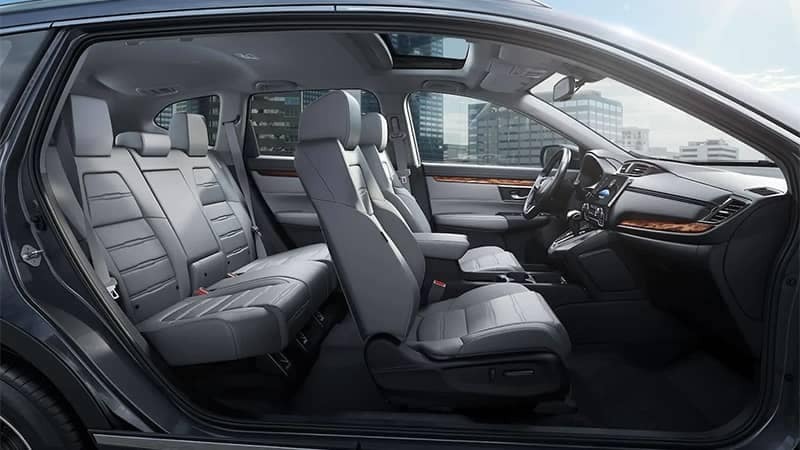 The entry-level LX model sets the bar high with an interior filled with features that bolster comfort and provide helpful conveniences for everyday driving. 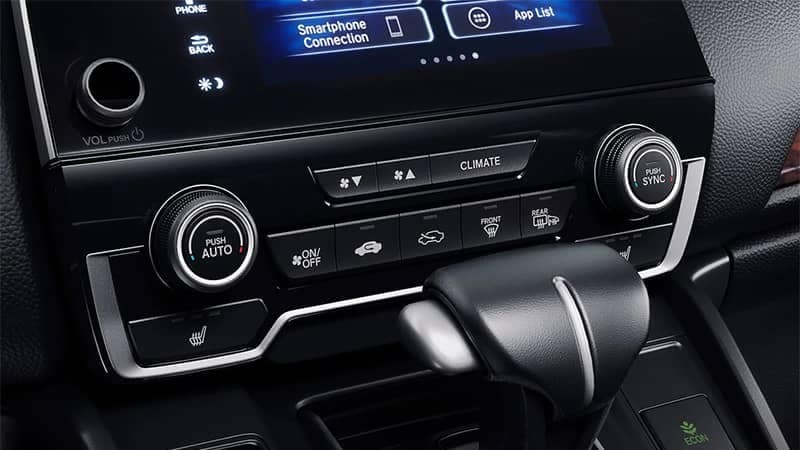 Automatic climate control keeps everyone inside supremely comfortable. And steering wheel mounted controls put audio, temperature, and other controls right at your fingertips. The LX model also includes ways to stay entertained and safely connected when behind the wheel. 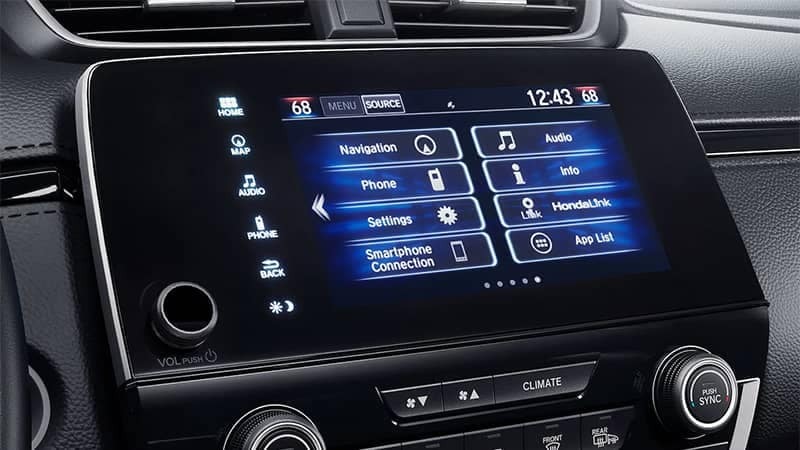 Whether you’re on a long road trip or just trying to get through a traffic jam, stream music, podcasts, and other audio content with Bluetooth technology. For drivers who are looking for an interior that includes more ways to stay connected and added comforts, the EX is a great mid-level trim to consider. 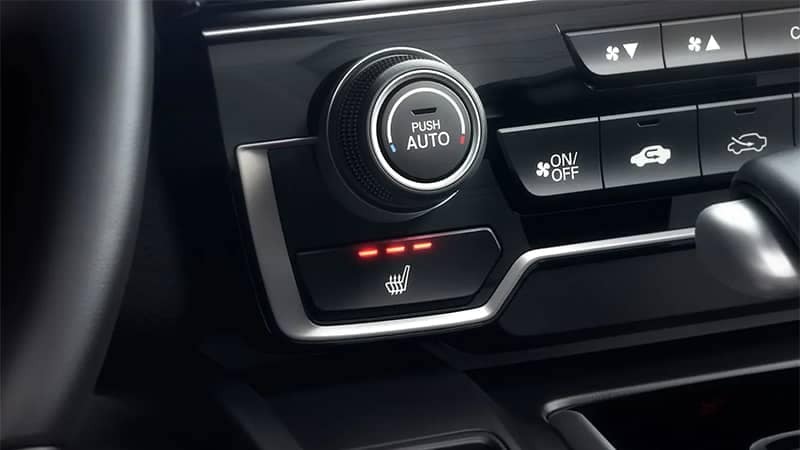 The heated front seats keep you warm throughout the colder months and smartphone integration and text message function keeps drivers safely connected and in touch. The EX-L picks up where the EX leaves off and adds more luxury inside the cabin. The EX-L swaps the cloth seats for a leather trimmed interior as well as a leather-wrapped steering wheel. With the EX-L, drivers will also get an upgraded audio system for a sophisticated sound. At the top of the line is the Touring model. It offers drivers exterior features such as roof rails and LED Headlights, but its also adds more technology inside the cabin. 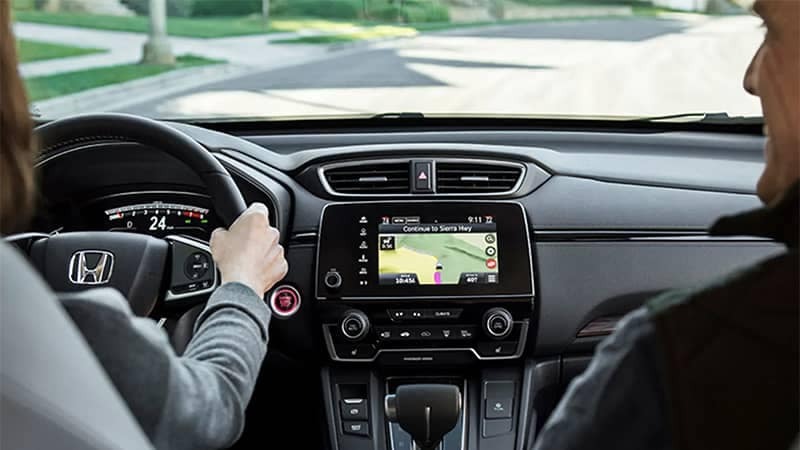 The navigation system guides drivers to their destination using the best routes and includes voice recognition, so you can input instructions or add a stop without taking your hands off the wheel. No matter which model of the CR-V is right for you, there are a number of interior accessories that drivers can opt for. 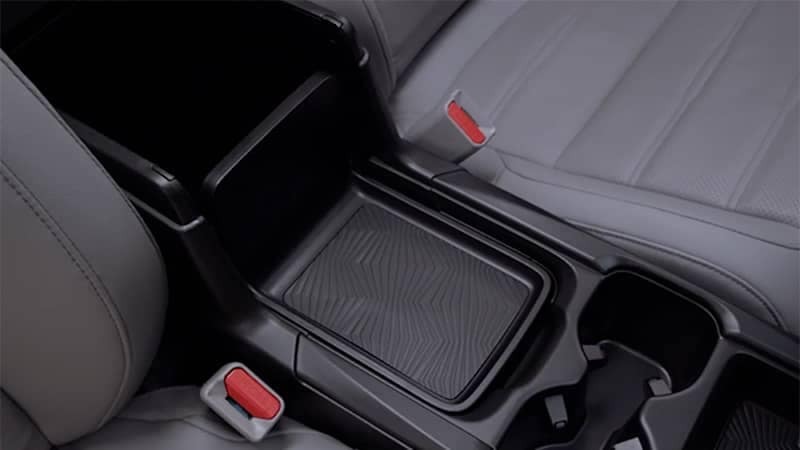 These accessories can help you keep your cargo organized and protects the carpets and the backs of the rear seats from wear and tear.